L'Università di Nottingham ha recentemente diramato una notizia di eccezionale importanza: da quest'anno, infatti prenderà il via una campagna quinquennale di indagini archeologiche nel sito miceneo di Pavlopetri, in Laconia. 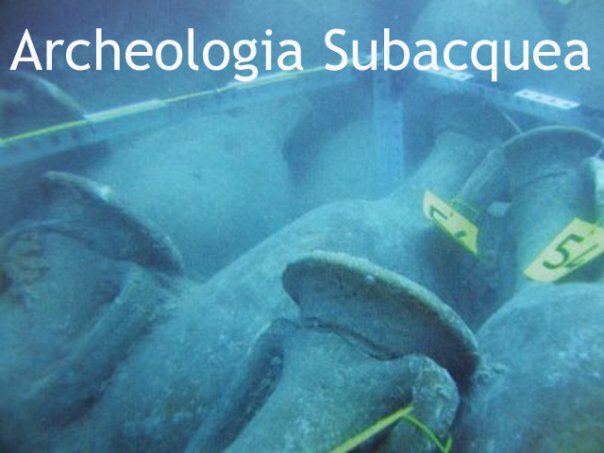 Si tratta di un insediamento antichissimo, le cui prime tracce risalirebbero addirittura al 2800 a.C., e le cui fasi più recenti e meglio documentabili sarebbero riconducibili agli inizi del XII secolo a.C. , sommerso a bassa profondità (3-4 metri). 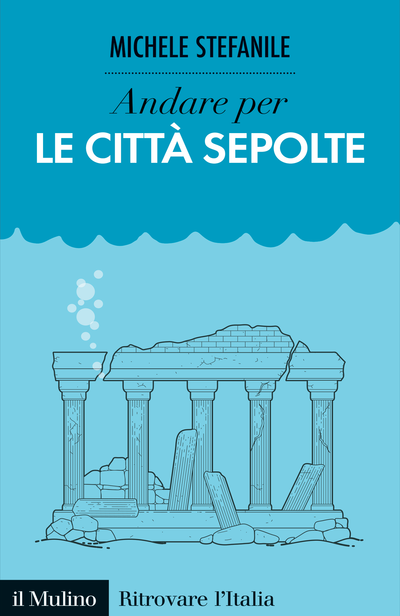 Il sito fu individuato negli anni Sessanta, ma non è stata mai concessa alcuna autorizzazione, per cui i ricercatori del team dell'archeologo subacqueo J. Henderson saranno i primi a studiare la città. Il progetto prenderà il via a breve, con delle campagne di ricognizione che saranno condotte con l'ausilio di strumentazioni all'avanguardia. Per il triennio 2010-2012 sarà invece programmato lo scavo. Nel 2014, la pubblicazione. 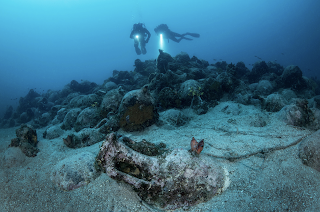 A site that archaeologists call the world’s old est sub merged town may be about to give up its secrets — with the help of equip­ment that could revolutionize underwater archaeology, researchers say. The ancient town of Pavlopetri lies in three to four metres of water just off the coast of southern Laconia in Greece. The ruins date from at least 2800 B.C. to about 1180 B.C., researchers say. The lat ter part of this era forms part of a Bronze Age phase that was the set ting for much An cient Greek lite rature and myth, in­clud ing Homer’s sagas re count ing tales from a le gend ary age of he roes. Under wa ter ar chae o lo g ist Jon Hen der son of The Uni ver s ity of Not ting ham, U.K., is to be the first ar chae o lo g ist to have of fi cial ac cess to the site in 40 years. De spite its po ten tial in terna t ional im por tance no work has been car ried out at the site since it was first mapped in 1968, said Hen der son, who ob tained spe cial per mis sion from the Greek gov ern ment to study the site. The town was part of My ce nae an Greece, an ar ea of Greek civ il iz a tion tak ing its name from the ar chae o log i cal site and city of My ce nae. Al though My ce nae an pow er was largely based on con trol of the sea, lit tle is known about the work ings of the har­bour towns of the per i od as ar chae o lo gy to date has fo cused on the bet ter known in land palaces and citadels, ac cord ing to Hen der son. Pavlopetri was pre sumably once a thriv ing har bour town where the in hab i tants con ducted lo cal and long dis tance trade through out the Med i ter ra nean — its sandy and well-pro tect ed bay would have been ide al for beach ing Bronze Age ships. As such the site of fers ma jor new in sights in to the work ings of My ce nae an so ci e ty, Hen der son said. His proj ect aims to dis cov er the his to ry and de vel op ment of Pavlo petri, find out when it was oc cu pied, what it was used for and through a sys tem at ic study to es tab lish why the town van ished un der the sea. “This site is of rare in terna t ional ar chae log i cal im por tance. It is impe rative that the frag ile re mains of this town are ac cu rately recorded and pre served be fore they are lost forever,” said Hen der son. The sub merged structures lie just off a sandy stretch of beach close to an ar ea pop u lar with hol i day mak ers and campers. Un­der threat from tour ism and in dus try the re mains are be ing dam aged by boats drag ging their an chors, in quis i tive snorkel ers on the hunt for sou venirs and the growth of ma rine or gan isms which are al so tak ing their toll, de grad ing the frag ile 3,500 year old walls. Hen derson and his team plan four an nu al study sea sons. This May and June the team will car ry out a full un der wa ter sur vey. Be tween 2010 and 2012 un der wa ter ex cava t ions are sched uled, and find ings are to be pub lished in 2014. The sur vey, in col la bora t ion with Elias Spondylis of the Eph or ate of Un der wa ter An ti qu i ties of the Hel len ic Min is try of Cul ture, will be car ried out us ing equip ment orig i nally de vel oped for the mil i tary and off shore oil field mar ket but that re search ers say could trans form un der wa ter ar chae o log i cal sur vey and re cord ing. 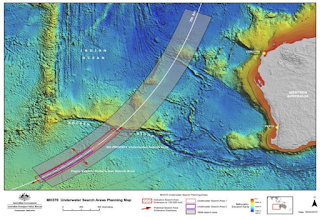 Henderson and his team in tend to car ry out a sur vey us ing an acous tic scan ner that pro duces photo-realistic, three-di men sion­al dig it al sur veys of seabed fea tures and un der wa ter struc tures to sub-millimetre ac cu ra cy in min utes.